Healthy Active Lifestyle: Raw vegetable crackers - YES there is a use for juice pulp! If you've ever juiced, you've asked but what about the pulp? I've put some in soup but never the whole quantity leftover from juicing. I can't live with the guilt of throwing it out, even when it is to become compost, anymore. 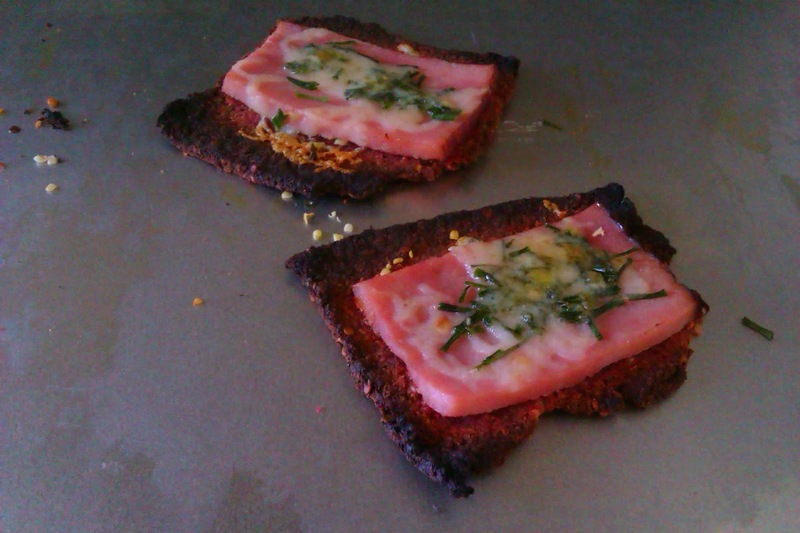 I needed to try something and my experiment turned out to be a tasty one. I ate my first batch of crackers in one day. Well I gave a few away to coworkers and they wanted more! 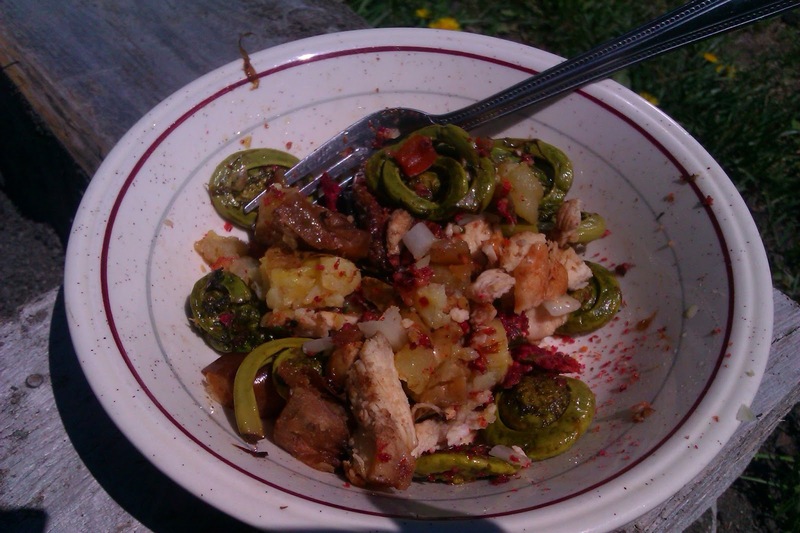 Super adaptable, ingredients for this recipe can vary greatly, I've done this twice so far with similar results so now feel ready to post the recipe. You can use sprouted seeds, different nuts and seeds like pepitas and sunflower, add some tahini, perhaps even pulses like cooked lentils or chick peas (then they wouldn't be 100% raw but it's an idea). Stay away from overly sweet fruit, melon, grapes. 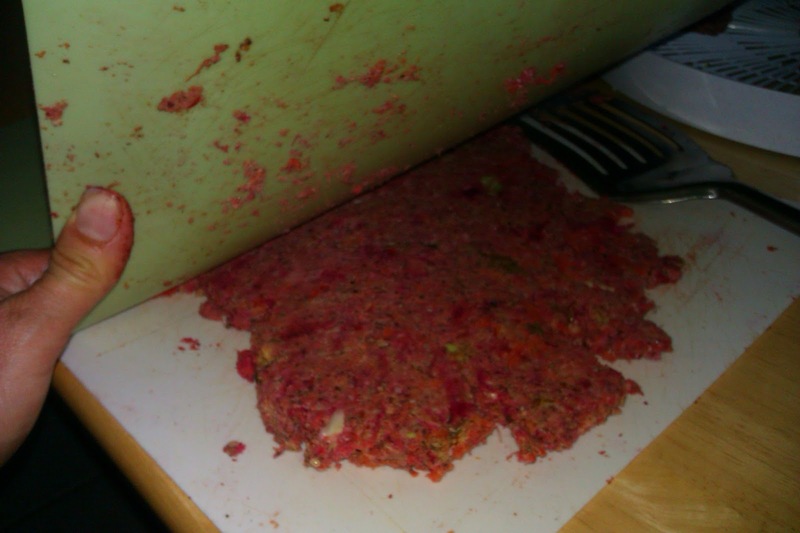 You can use one kind of vegetable pulp or a mix as I did. As a sidenote, you can follow a similar process to make cookies with carrot and pineapple pulp, blend with raisins or dates, coconut, walnuts, flax, hemp, agave or honey and use a bite size cookie cutter (try a spice jar lid!). My crackers have such an intriguing colour cuz they're made with beets! I would consider the pictures here to represent a double batch of crackers. They turned out thicker the second time I made them but I was working with a bigger quantity of mixture and wanted it all to fit in my dehydrator in one batch. 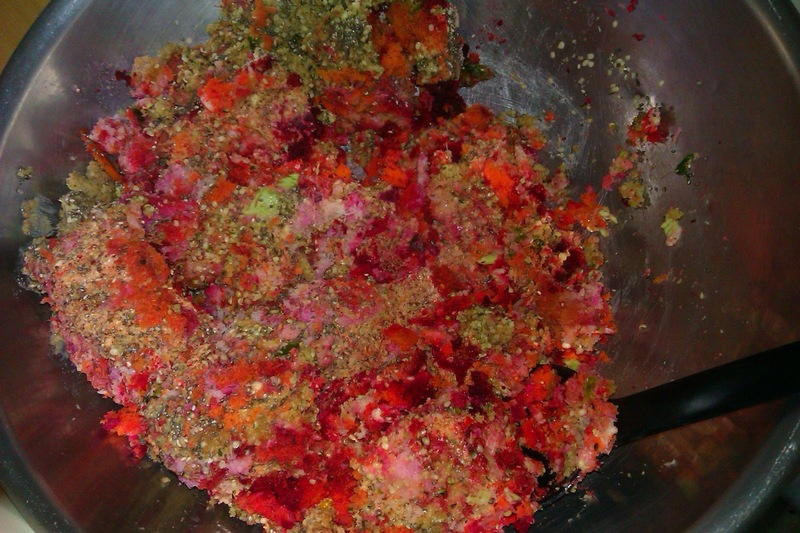 My vegetable pulp leftover from juicing was beet, cabbage, lemon and carrot. In a large bowl, place the pulp, seasoning (I used cayenne and a mix of Italian dried herbs, sea salt) I added a bit of olive oil and tahini too. 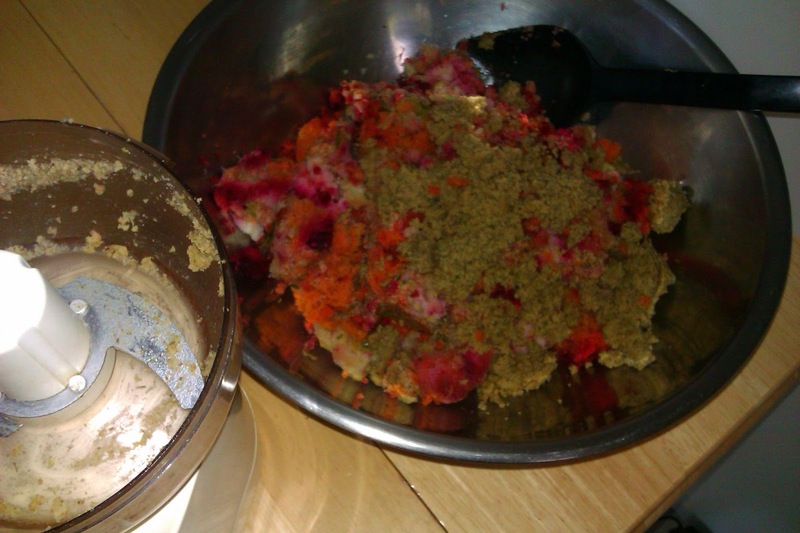 Add the blended nut mixture to the bowl of pulp and add 1/2 cup of whole seeds such as hemp, chia, flax or others. 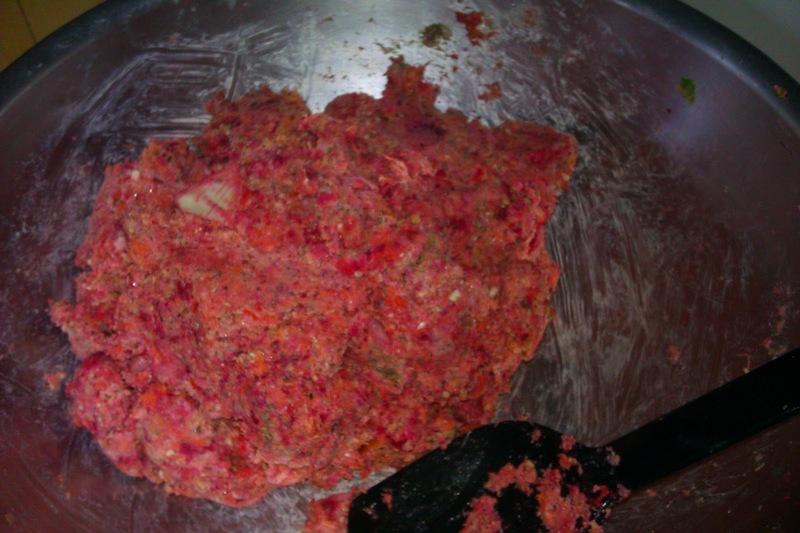 It is critical for the texture to be uniform so mix, mix, mix until you can form a ball. It will soon feel like doughy paste. Sometime during the mixing, give it a taste and you can add a touch of agave nectar to sweeten or sea salt or your spices. Now the work begins. spread the paste onto your work surface, I used a large flexible cutting board. Flatten the dough to then cut out squares. Lift them with a flipper/spatula onto your dehydrator trays. If you use a rolling pin - something I don't own - you may need to grease it up. 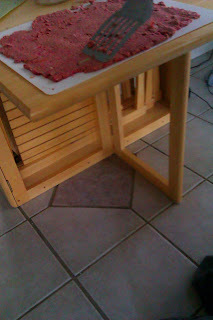 I tried flattening with a second cutting board with mixed results since I hadn't greased it. Most of the flattening was done with the spatula. I sprinkled hemp hearts over my cracker shapes but they didn't stick well, I would have needed to press them in a little for more to stay on. 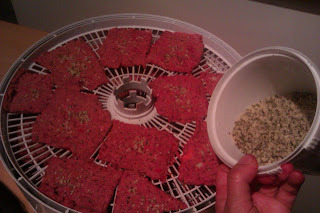 Dehydrate at 105F for several hours and flip the pieces over so they dry with a more even texture on both sides. It can take as long as 24 hours to dehydrate them fully. Place in an airtight container. If condensation forms, they need to be dehydrated longer. You can keep in the cupboard if you plan on eating promptly. Otherwise, it is best to refrigerate your veggie pulp raw crackers. I might surprise you with this comment and picture below but there is no rule against cooking them later! These ham, old cheddar and chive bakes are supreme culinary delicacies: The oil they contain makes them taste spectacular. 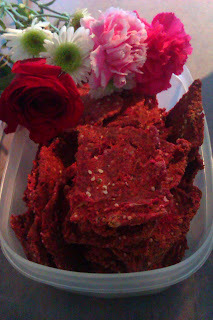 Crumbled, the raw crackers can top salads, stir fries or other hot dishes. Let me know how you like 'em!